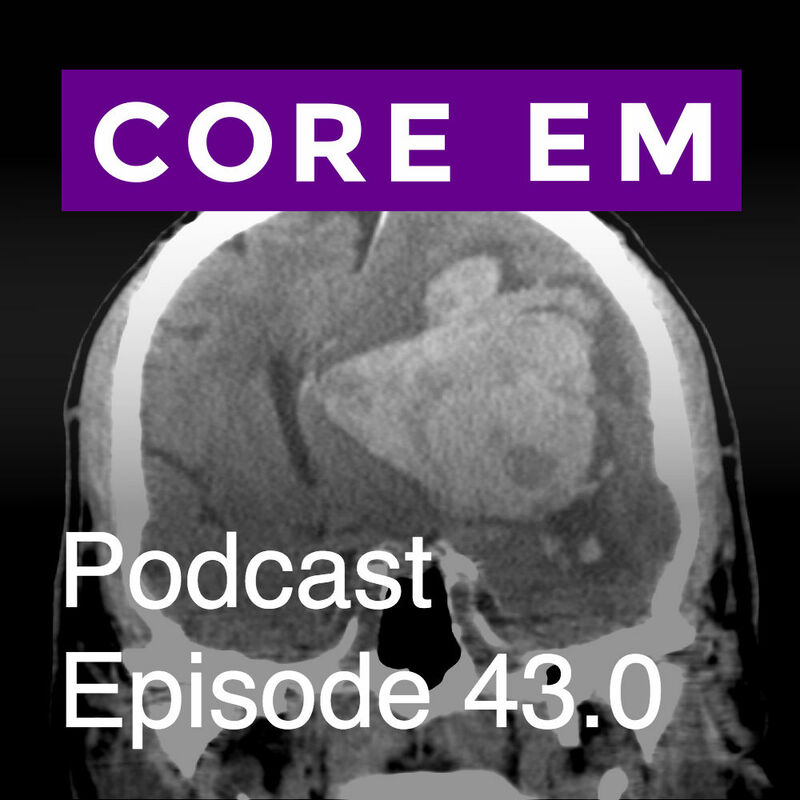 This week we review delayed ICH in patients with head trauma on blood thinners and discuss the role of repeat imaging and admission. If you’re going to send patient home after minor head trauma, on anticoagulant/antiplatelet, negative CT, what do you tell them regarding the med? Continue anticoagulant, stop med (if possible) until seen by PCP, hold for a week? Wondering what you guys do at your place. Tom – great question with, unfortunately, no good answer. If there’s a real concern, would have them hold until re-evaluation and then restart medication. Have to balance this with the reason they’re on it (I’m less concerned if they’re on it for AF but maybe a bit more concerned if it’s for a valve).